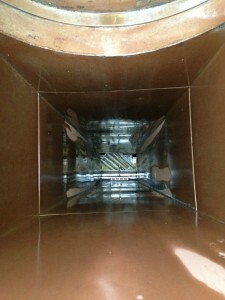 If you own or operate a commercial kitchen, kitchen exhaust hood cleaning in Mission Viejo CA is a fact of life. You need to make sure you get frequent and thorough cleanings in order to comply with your fire safety code obligations and to reduce the risk of a fire in your exhaust system. Flue Steam can help with every step of this process. At Flue Steam, we can help customers get the best value on their kitchen exhaust system cleanings by offering a combination of hand-scraping and steam cleaning services. We will come scrape the exhaust hood every month or so, because that’s where grease buildup is normally the heaviest. Then we will return with our steam cleaning equipment a couple of times per year to clean grease from all those hard to reach spots deep within your exhaust system. 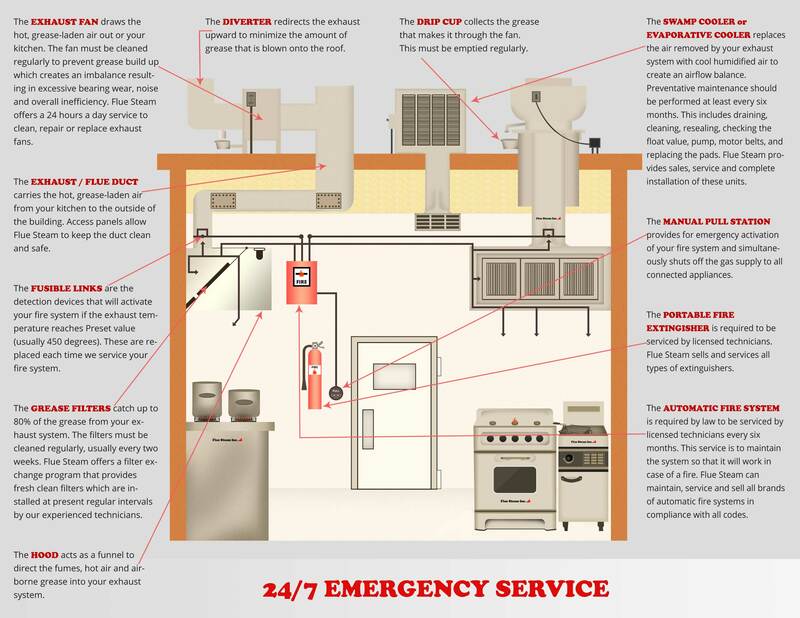 When used in a proper balance, kitchen exhaust hood cleaning in Mission Viejo CA and total exhaust system cleaning should ensure that you fulfill your fire code obligations and help keep grease fires from igniting in your ductwork.